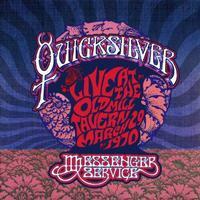 This is a new live recording from Quicksilver Messenger Service. Well, okay, it’s an old recording, but a new release. 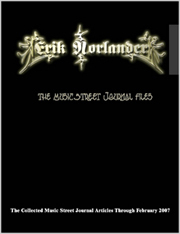 I just reviewed a different QMS live album last issue. I think I like this one better. The sound quality, although it has some issues, seems pretty good for a live recording from the 1960s. The performances here are great. This is just an awesome slice of psychedelic and jam music. The guitar that opens this just screams “psychedelic rock.” They build on that musical concept from there. They take it through a number of shifts and changes in a cool rocker. This rocker is very bluesy. It’s a bit mellower than the previous tune. It’s also got a lot more charm and character. It’s a great tune. The instrumental section features some prominent bongos along with a tasty guitar solo. A rhythmic groove opens this and they power out into a killer jam. It seems based sort of a Bo Diddley beat. There are Doors-like keyboards over the top. The vocals wail. It gets into some pretty intense jamming later. Mellow, soulful music makes up this cut. They build it up with a healthy helping of country music. While I like this cut, and it lends some variety, it’s the weakest thing to this point on the disc. It’s okay, but just doesn’t stand up to the rest of this music. Spacey elements open this. Slow moving, mellow psychedelic music rises up gradually. The pace of this is a little too sloth-like to me. Not only that, but there just isn’t enough growth. It’s alright, but not a highlight by any means. Now, this is more like it. This is energetic, smoking hot bluesy psychedelic rock. Aft4er the vocals they work this out into a killer jam that’s got some sounds that lean towards space rock. Here we get the first of two blues jams to feature James Cotton. It’s a mid-tempo rocker with a lot of swing to it. Strictly instrumental, different instruments shine at different points. Guitar, piano and harmonica all feature prominently at various points throughout. Another blues jam that features the great James Cotton, I think I like this one more. It seems like the group were more inspired here. It’s a killer tune with many of the same references as the previous one. This just feels like it has more passion and fire. It does tend to over-stay its welcome just a bit, though.